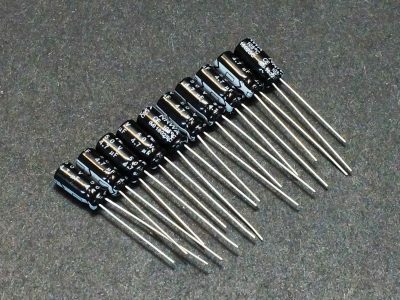 This kit consists of a high quality 8MHz Crystal and the matching 18pF load capacitors that are required to operate it. 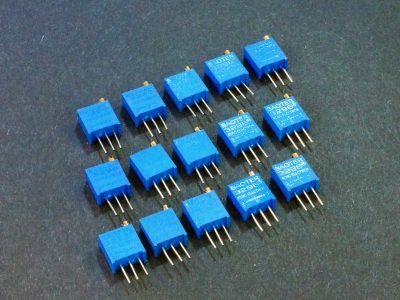 This kit consists of a high quality 12MHz Crystal and the matching 18pF load capacitors that are required to operate it. 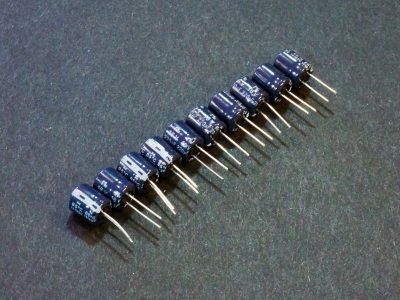 This kit consists of a high quality 16MHz Crystal and the matching 18pF load capacitors that are required to operate it. 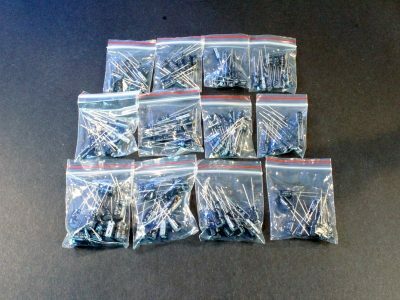 This 120pc kit of miniature aluminum electrolytic capacitors contains 12 different values from 1uF to 470uF. These are high quality NIC 1uF, 100V radial leaded miniature aluminum electrolytic capacitors. These are high quality NIC 4.7uF, 50V radial leaded miniature aluminum electrolytic capacitors. 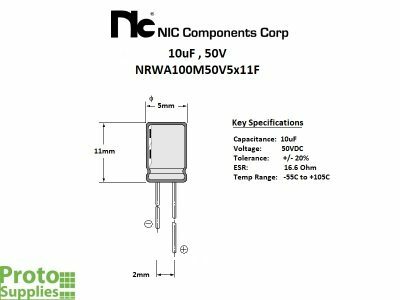 These are high quality NIC 10uF, 50V radial leaded miniature aluminum electrolytic capacitors. These are high quality NIC 22uF, 50V radial leaded miniature aluminum electrolytic capacitors. These are high quality NIC 47uF, 25V radial leaded miniature aluminum electrolytic capacitors. These are high quality NIC 100uF, 25V radial leaded miniature aluminum electrolytic capacitors. These are high quality low profile NIC 220uF, 16V radial leaded miniature aluminum electrolytic capacitors. These are high quality NIC 470uF, 16V radial leaded miniature aluminum electrolytic capacitors. These are high quality NIC 1000uF, 25V radial leaded miniature aluminum electrolytic capacitors. 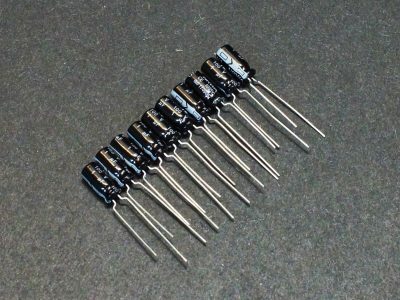 These are high quality mil-spec Cornell Dubilier 5pF, 500V radial leaded mica capacitors for demanding applications. 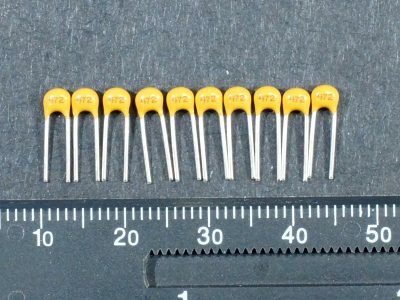 These are high quality AVX 0.1uF, 50V axial leaded monolithic ceramic capacitors. 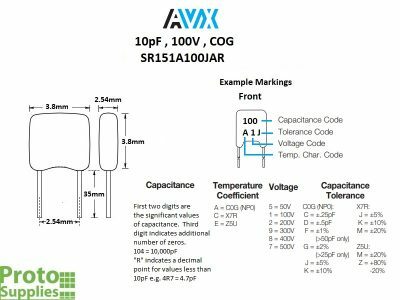 These are high stability AVX 10pF, 100V COG ± 5% radial leaded multilayer ceramic capacitors. 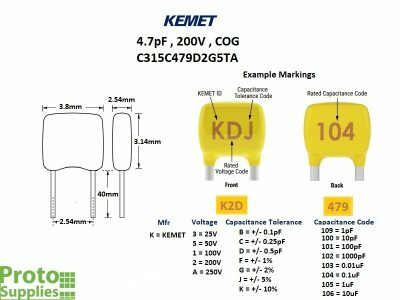 These are high stability KEMET 4.7pF, 200V COG ± 0.5pF radial leaded multilayer ceramic capacitors. These are high stability KEMET 18pF, 100V COG 5% radial leaded multilayer ceramic capacitors ideal for crystal load capacitors. These are high quality KEMET 0.001uF / 1000pF, 50V radial leaded multilayer ceramic capacitors. These are high quality KEMET 4700pF, 100V X7R radial leaded multilayer ceramic capacitors. These are high quality KEMET 0.01uF, 50V radial leaded multilayer ceramic capacitors. 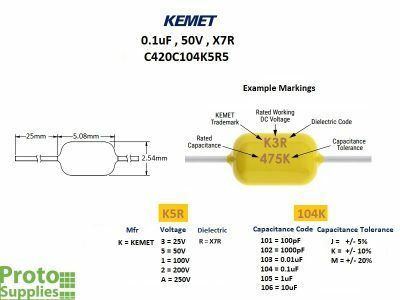 These are high quality KEMET 0.01uF, 100V radial leaded multilayer ceramic capacitors. 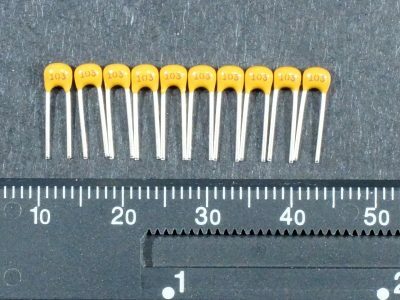 These are high quality KEMET 0.1uF, 50V radial leaded multilayer ceramic capacitors. 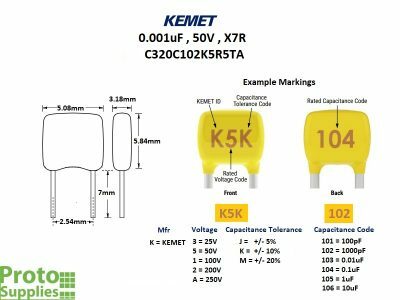 These are high quality KEMET 0.1uF, 50V X7R axial leaded multilayer ceramic capacitors. 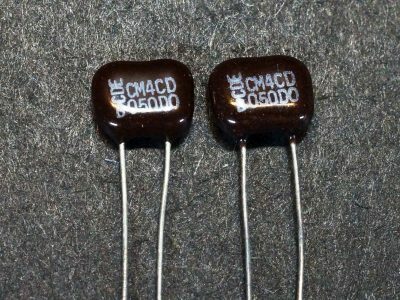 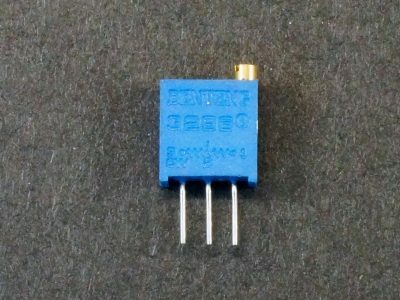 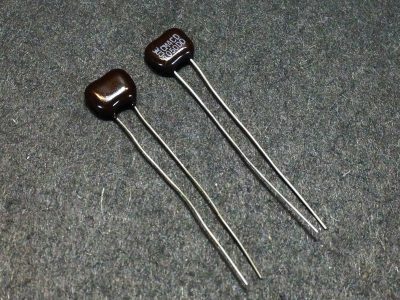 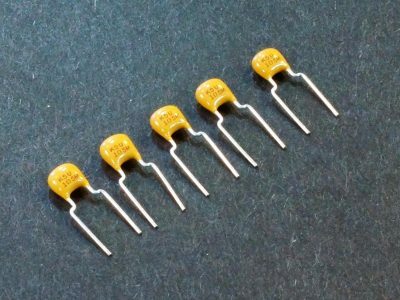 These are low cost 0.1uF, 50V radial leaded multilayer ceramic capacitors suitable for use as basic bypass capacitors. These are high quality KEMET 1uF, 50V radial leaded multilayer ceramic capacitors. 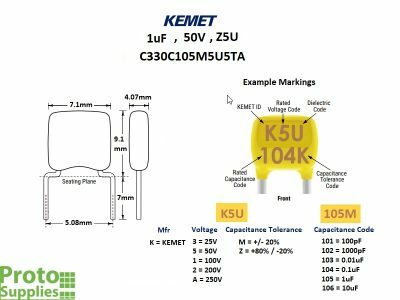 These are high quality KEMET 10uF, 16V radial leaded tantalum capacitors. 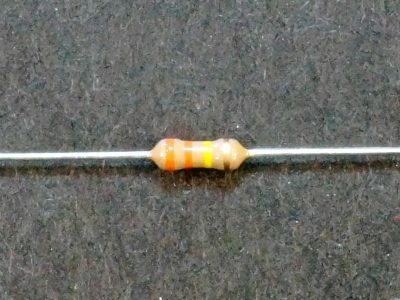 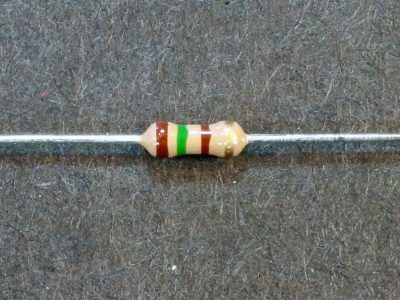 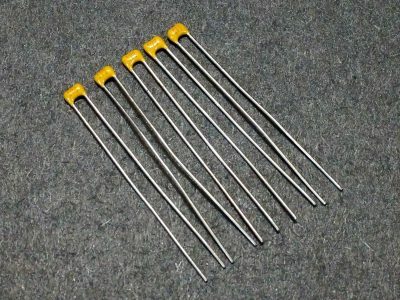 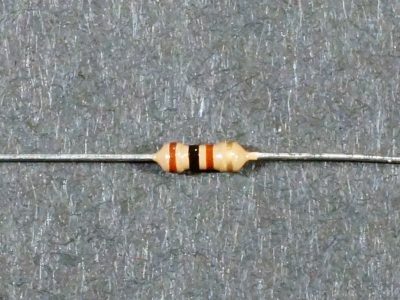 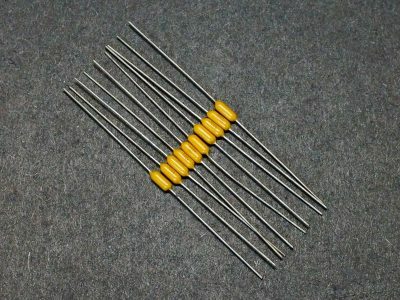 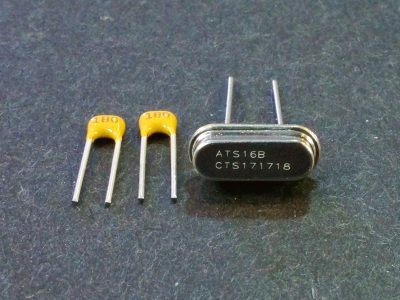 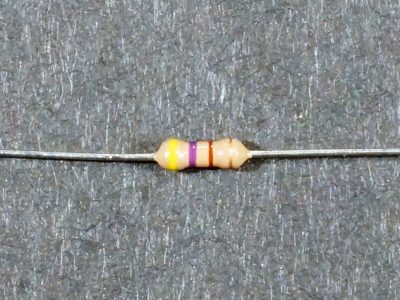 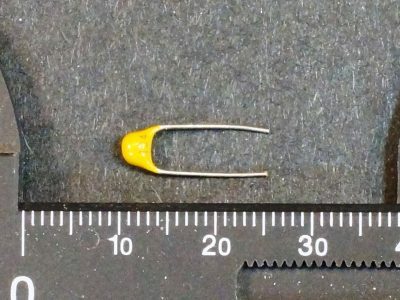 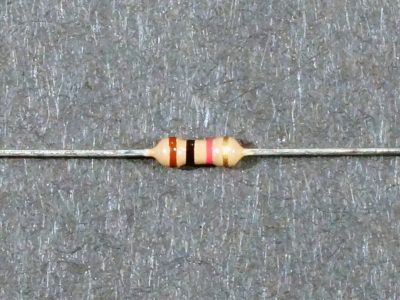 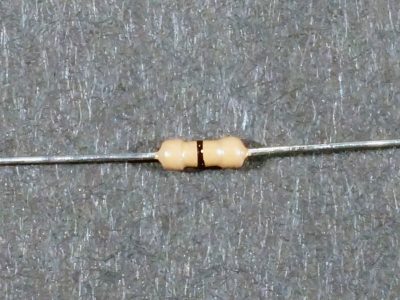 These are 0 ohm resistors with the same body style as a typical 1/4W axial leaded resistor. 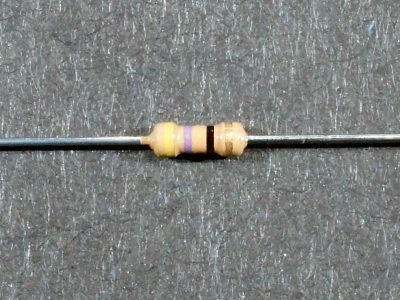 These are 10 ohm 1/4W 5% through hole resistors with strong leads that come in a 25-pack. 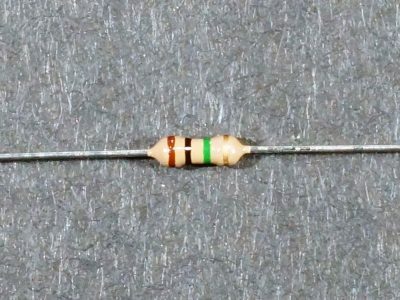 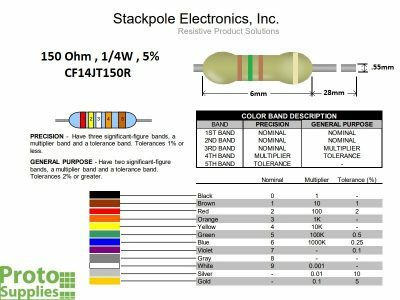 These are 47 ohm 1/4W 5% through hole resistors with strong leads that come in a 25-pack. 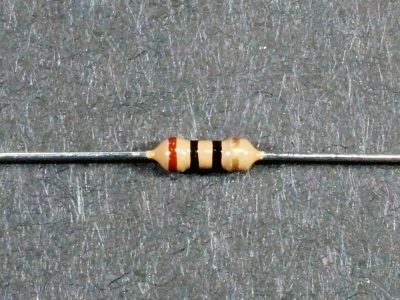 These are 100 ohm 1/4W 5% through hole resistors with strong leads that come in a 25-pack. 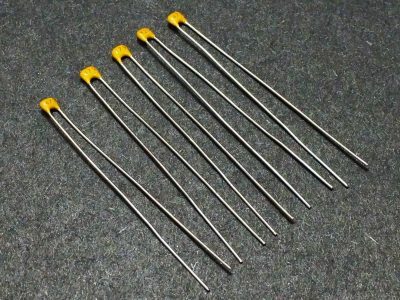 These are 150 ohm 1/4W 5% through hole resistors with strong leads that come in a 25-pack. 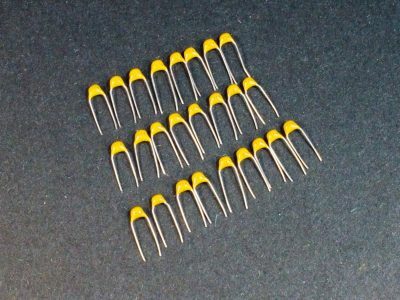 These are 180 ohm 1/4W 5% through hole resistors with strong leads that come in a 25-pack. 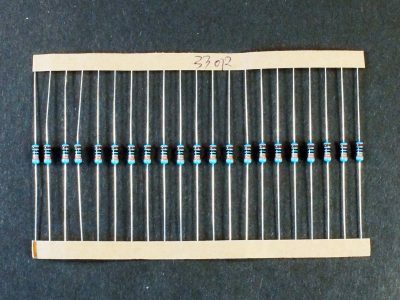 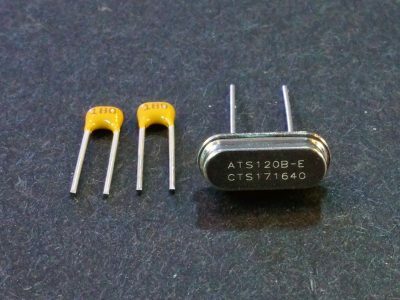 These are 220 Ohm 1/4W 5% through hole resistors with strong leads that come in a 25-pack. 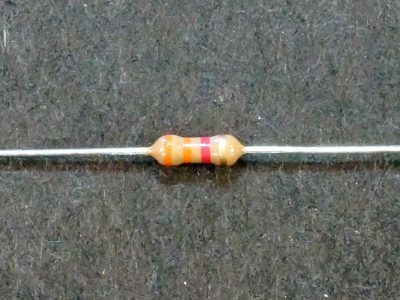 These are 270 ohm 1/4W 5% through hole resistors with strong leads that come in a 25-pack. 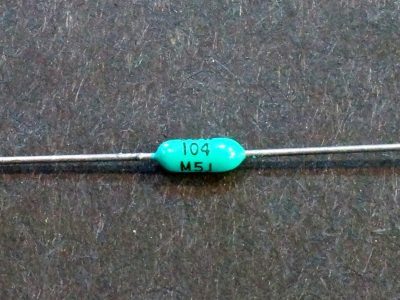 These are 330 ohm 1/4W 5% through hole resistors with strong leads that come in a 25-pack. 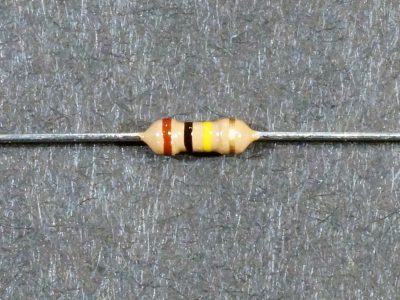 These are 470 ohm 1/4W 5% through hole resistors with strong leads that come in a 25-pack. 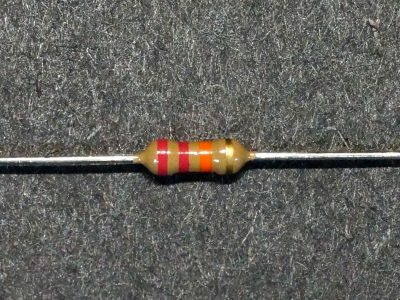 These are 1K ohm 1/4W 5% through hole resistors with strong leads that come in a 25-pack. 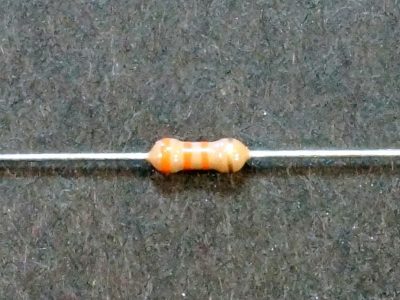 These are 2.2K ohm 1/4W 5% through hole resistors with strong leads that come in a 25-pack. 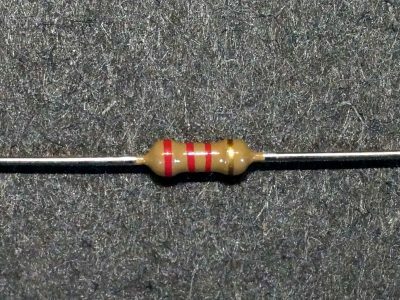 These are 3.3K ohm 1/4W 5% through hole resistors with strong leads that come in a 25-pack. 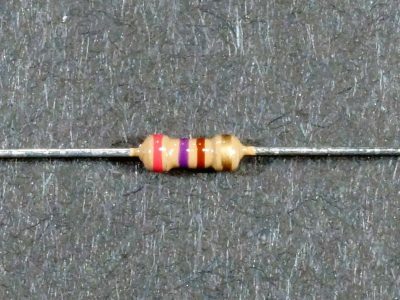 These are 4.7K ohm 1/4W 5% through hole resistors with strong leads that come in a 25-pack. 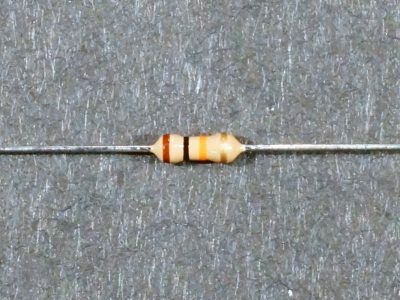 These are 10K ohm 1/4W 5% through hole resistors with strong leads that come in a 25-pack. 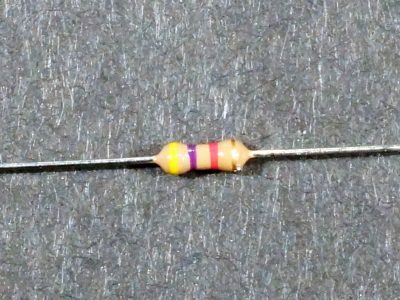 These are 22K ohm 1/4W 5% through hole resistors with strong leads that come in a 25-pack. 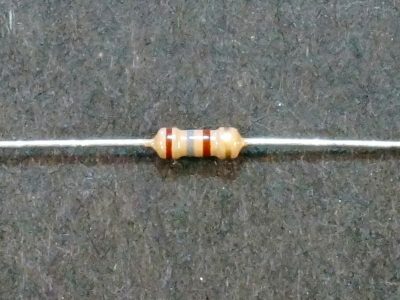 These are 33K ohm 1/4W 5% through hole resistors with strong leads that come in a 25-pack. 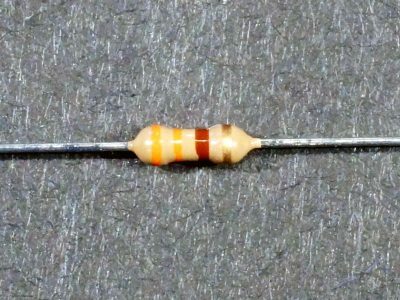 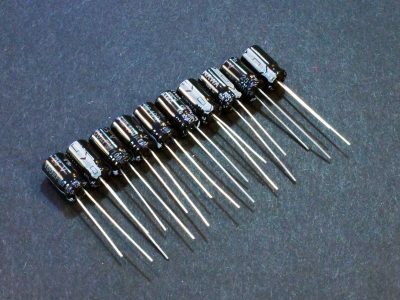 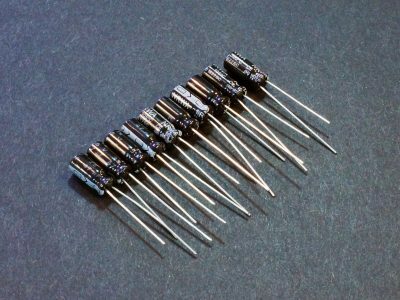 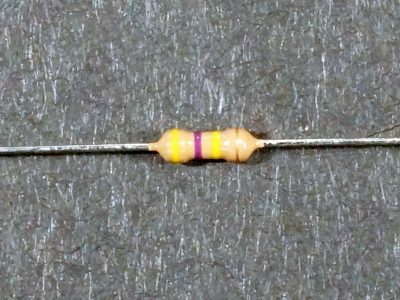 These are 47K ohm 1/4W 5% through hole resistors with strong leads that come in a 25-pack. 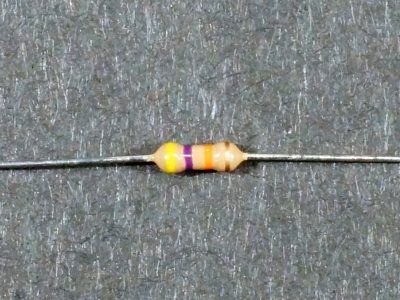 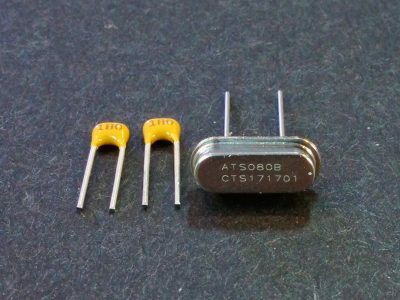 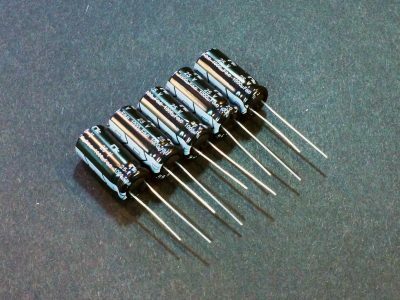 These are 100K ohm 1/4W 5% through hole resistors with strong leads that come in a 25-pack. 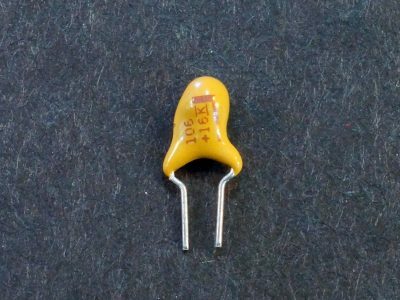 These are 330K ohm 1/4W 5% through hole resistors with strong leads that come in a 25-pack. 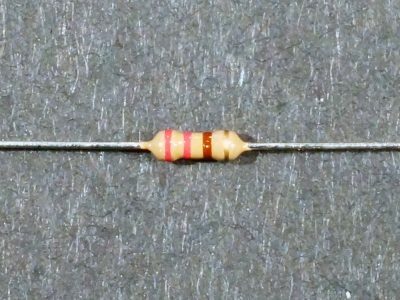 These are 1M ohm 1/4W 5% through hole resistors with strong leads that come in a 25-pack. 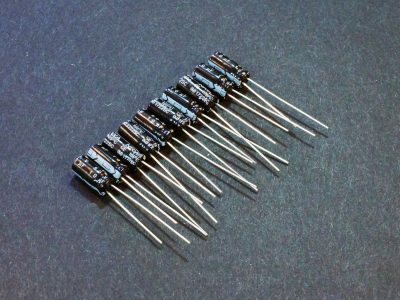 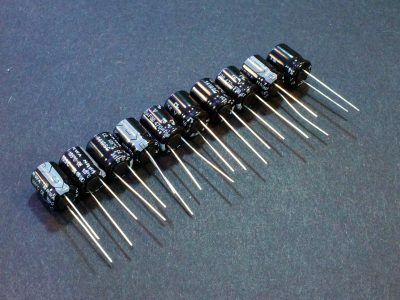 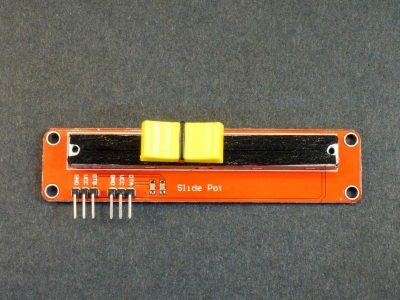 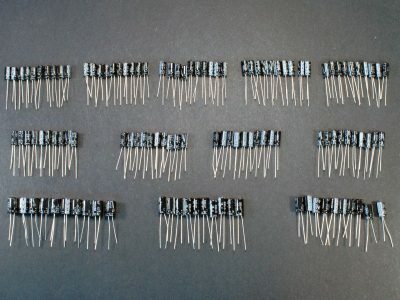 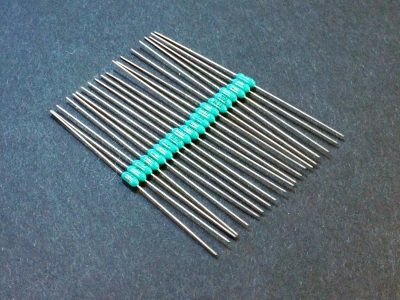 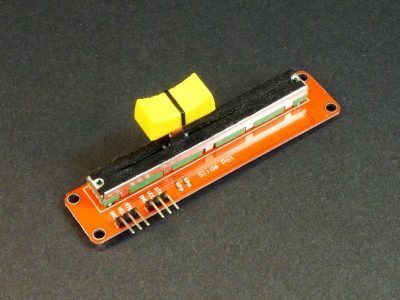 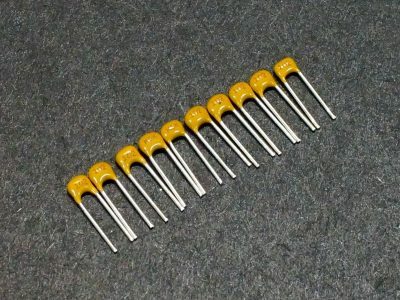 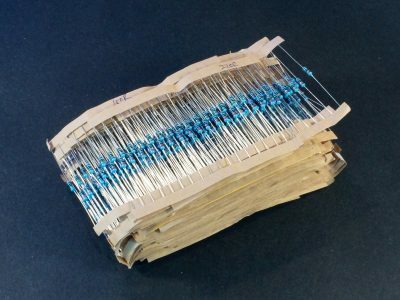 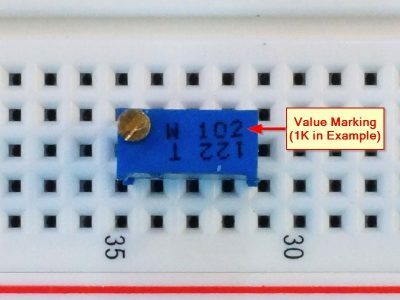 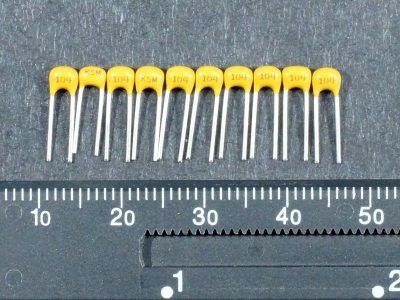 This is a kit of 1% 1/4W resistors with 20 pieces each of 73 values ranging in value from 1Ω to 1MΩ. 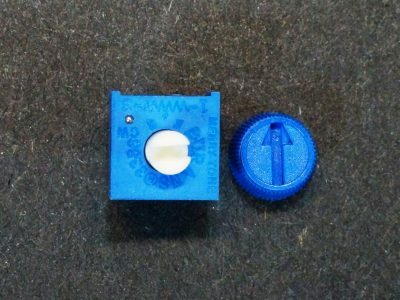 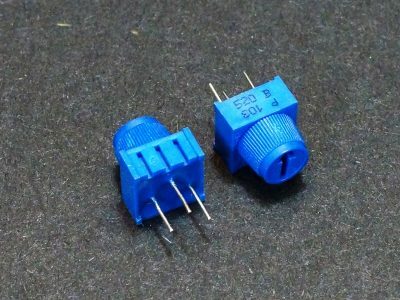 These 10K single-turn potentiometers are the most commonly used value and have an easy to use finger adjustment knob. These 10K multi-turn trimmer potentiometers are the most commonly used value and come in a 5-pack. 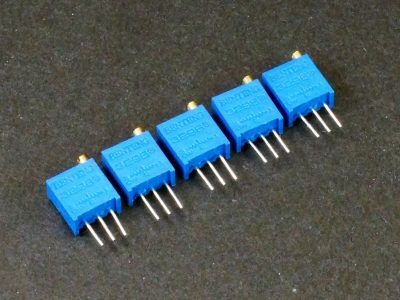 This kit of multi-turn trimmer potentiometers contains 1 each of 15 different values from 50 Ohm to 2M Ohm.